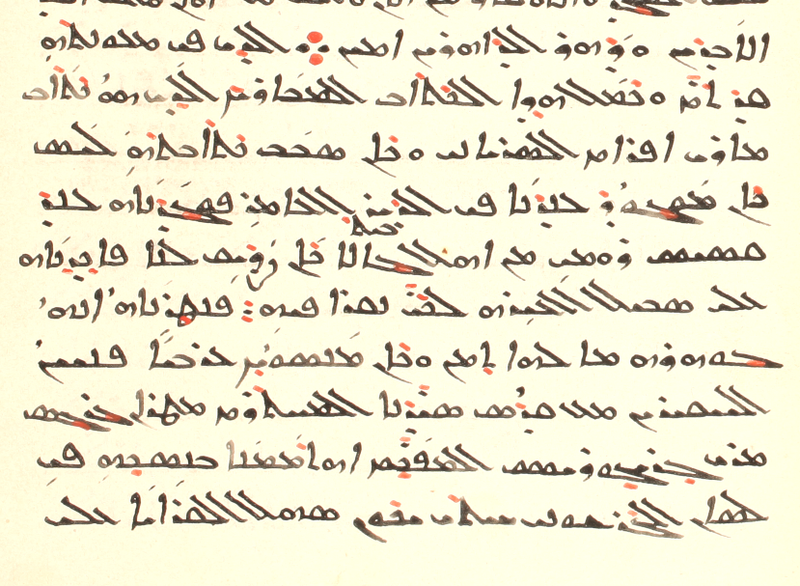 Colophons do not necessarily match in language the texts that they conclude, so that we sometimes have a Garšūnī colophon at the end of a Syriac text, or vice versa (as in an earlier place in the manuscript mentioned below). 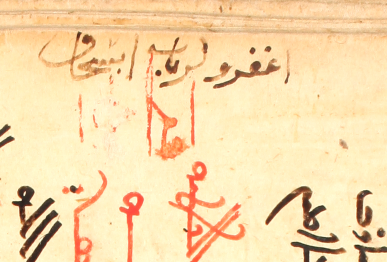 Garšūnī and Arabic are not, of course, distinct languages, but given that the medium in view here is graphic, the clearly distinct writing systems employed for them may matter in a way approaching that which exists between different languages properly speaking. 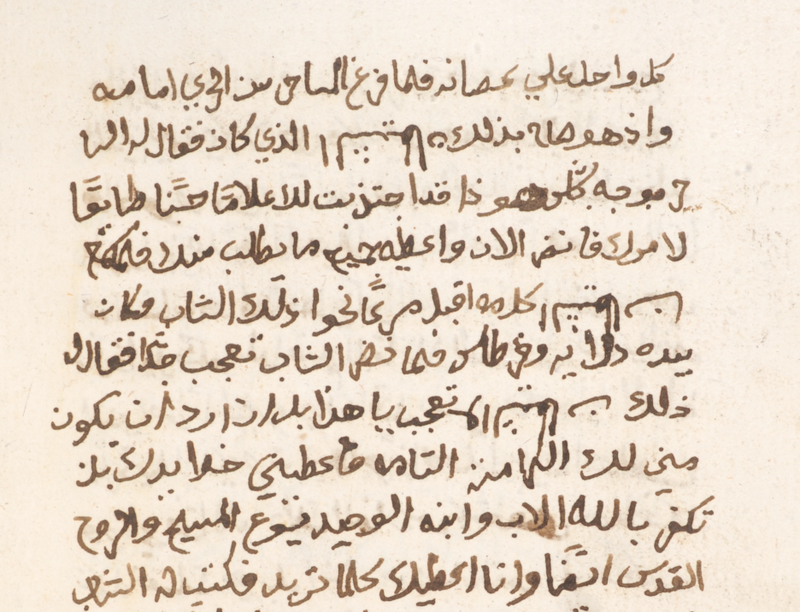 In addition, at least some scribes that used Garšūnī were careful to note the difference, as I pointed out recently. 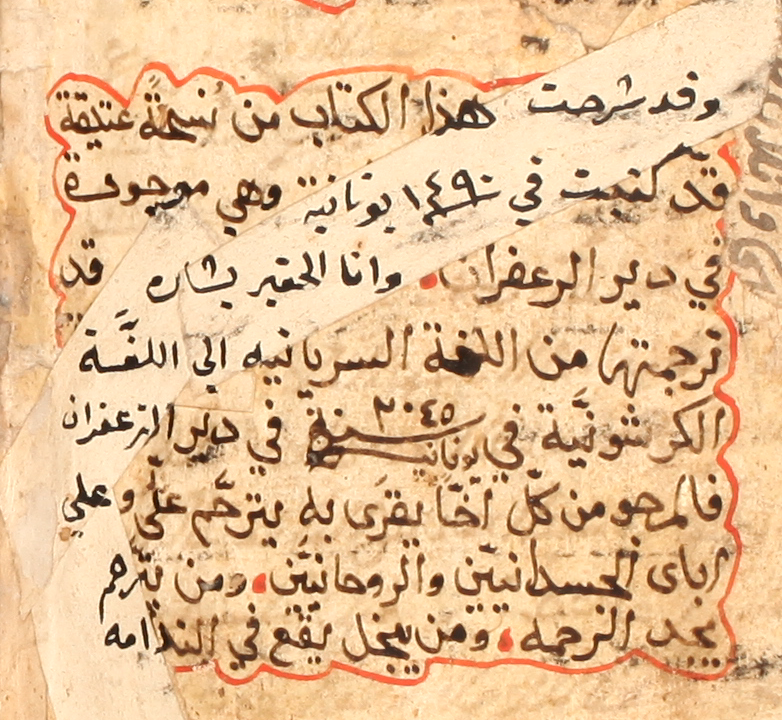 The kind of Arabic script most often found in the collections I have cataloged is naskh. 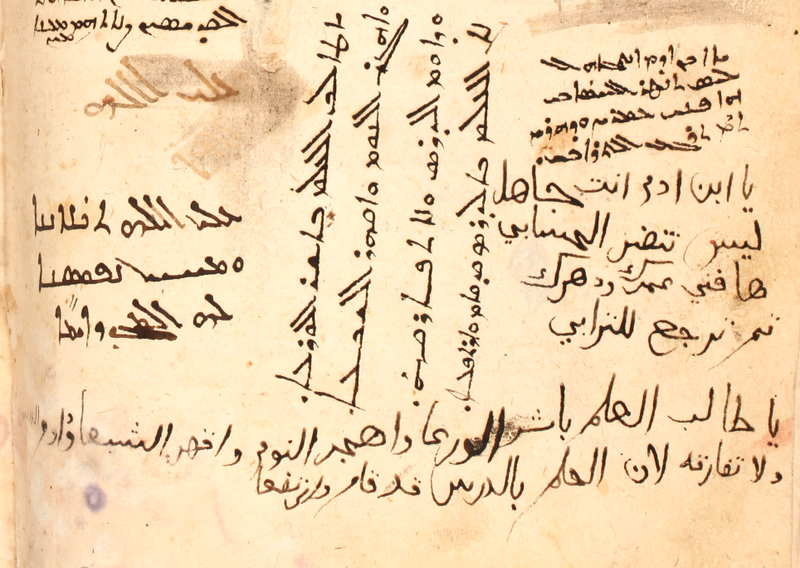 Less commonly we see ruqʿa, and rarer still is the slanted taʿlīq or one of its derivations, so the handwriting here is of some interest merely for that reason. The script here is characterized by each word being written on a down-slanting line (sometimes with the last letter written above the preceding parts of the word), loosely placed diacritical marks, and some horizontal and rounded lines being notably extended. Perhaps others would like to try their hand at reading it. My transcription (save for one part in the first line that has proven undecipherable to me so far) follows below. 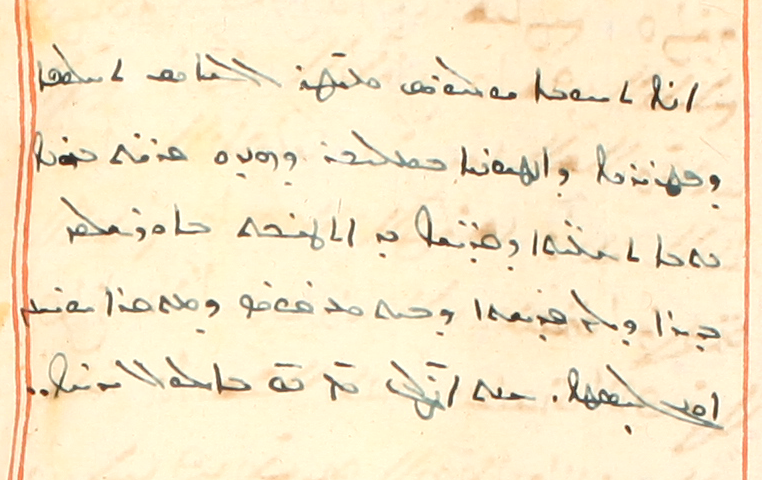 By the way, the year is given as 1092 AG, but this must be a mistake for 2092 AG (= 1780/1 CE), so the full date as given below would be May 1, 1781; a purchase note at the end of the manuscript is dated 2102 AG (= 1790/1 CE). 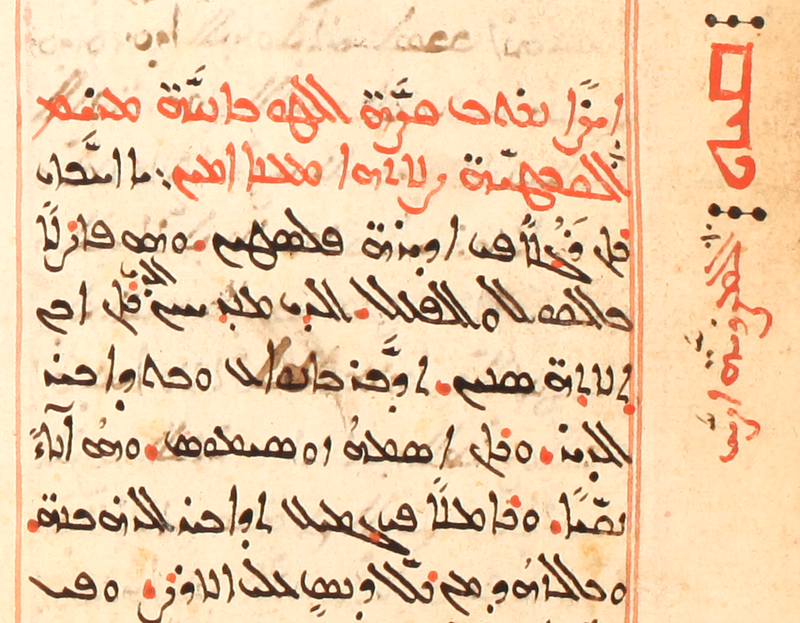 The scribe, also named earlier in this manuscript in a Syriac colophon, is called Anīs, who is from Gargar, but this manuscript was written outside Diyarbakır/Āmid. 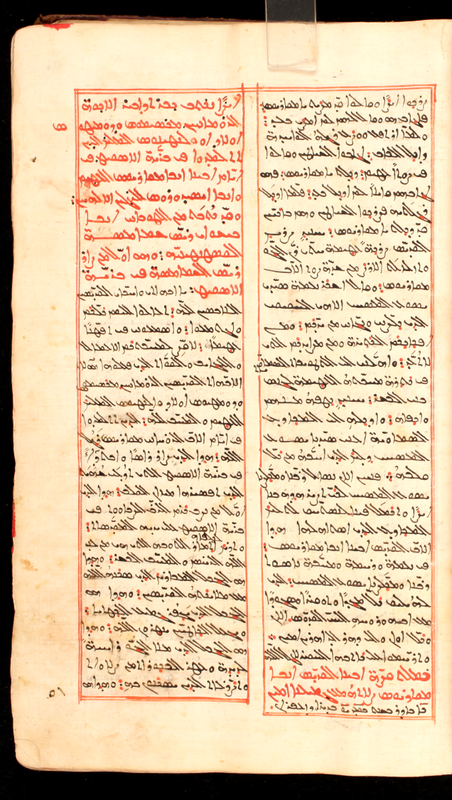 The second one, several folios later, is written around the outer and lower margin, all in Syriac script (but Arabic language) except for the last three words, which are in Arabic. hāḏihi ‘l-waǧh katībat al-ʕabd al-ḫāṭiʔ rabbān Īsḥāq bi-sm qass wa-rāhib. taraḥḥam ʕalay-hi wa-ʕalá wāliday-hi ayyuhā ‘l-qānī wa-‘l-qāriʔ. raḥimaka ‘llāhu āmīn. 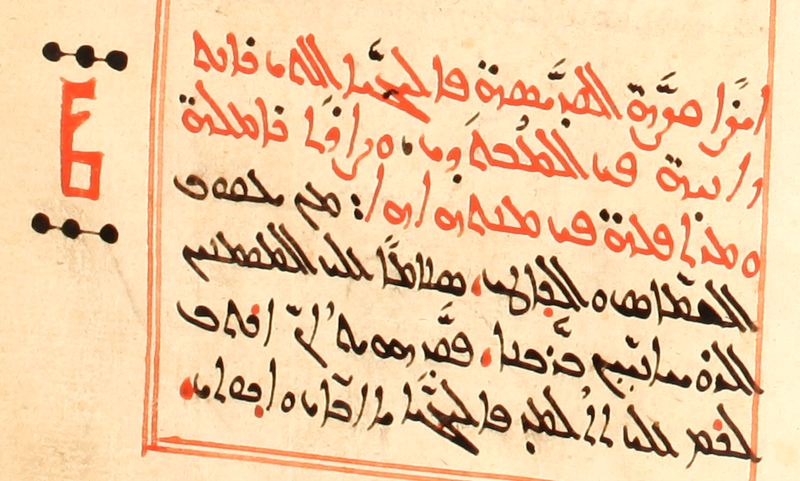 This side [of the folio] is the writing of the sinful slave Rabbān Īsḥāq, [who is] in name a priest and monk. O owner and reader, plead for mercy for him and his parents! May God be merciful to you! Amen! I’ve mentioned here before the writing upside down of names as a means of cursing, dissociation, or the like (here, here, and cf. here). 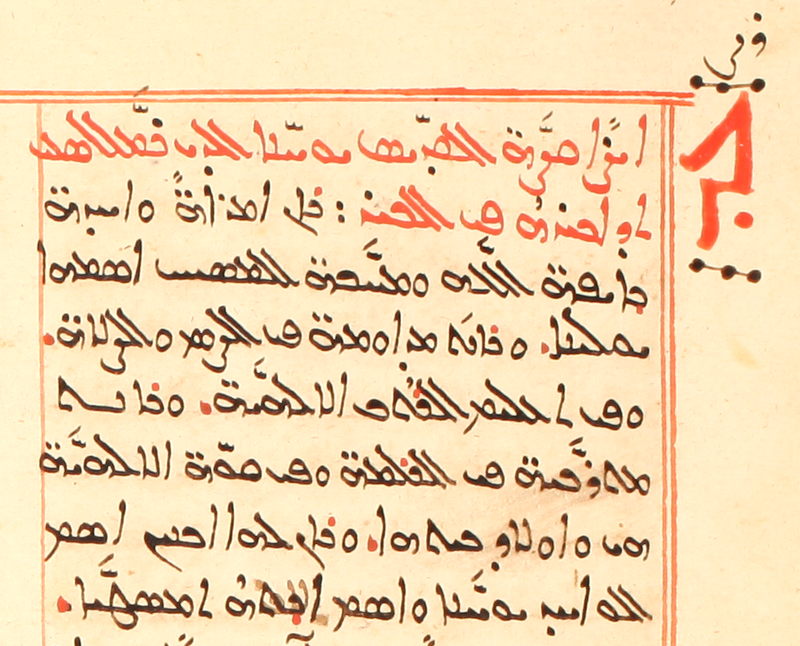 Today, while cataloging an Arabic manuscript from Mardin — CCM 17, 18th century, which contains accounts of miracles of Mary and other saints — I found another example, this time with “Satan”, and notably, in Arabic script, not Syriac, as was the case with the other examples I’ve pointed out. 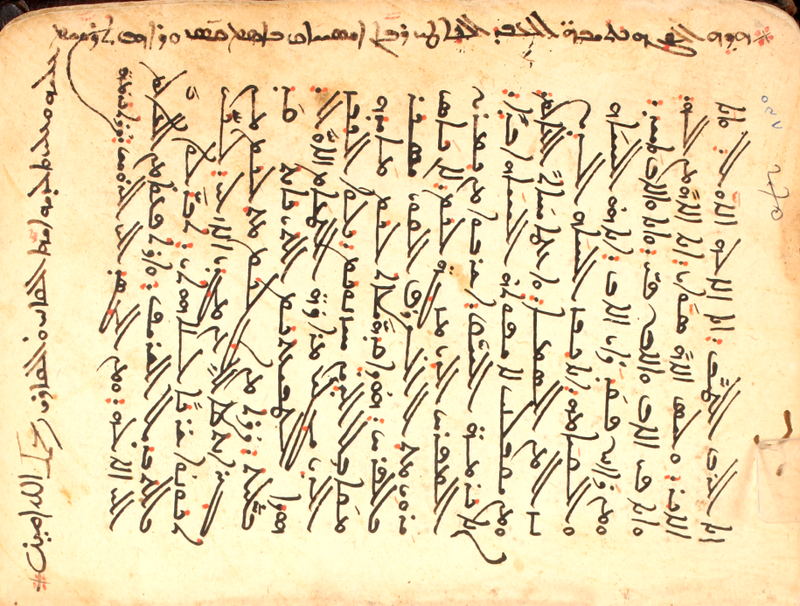 In this image, you can see al-šayṭān upside down in lines 2, 5, and 7. The finishing of it [the book] occurred on Tuesday, on the 22nd of the blessed month of Ayyār [May], in the year 1705 AD, and this was by the pen of the most wretched of God’s servants, and the most depraved of them, ʕabd-al-aḥad, in name a priest. He has demanded pardon and forgiveness from every brother who is an understanding reader!